Save 76% on Focus@Will. That's music to our ears. Are you interested in increasing your productivity? What if you could increase it by 400 per cent, simply by listening to a certain music service? Though this sounds too good to be true, it's exactly what can happen when you use Focus@Will. A lifetime premium subscription to this innovative music service is currently on sale for 76 per cent off the normal price of $299.95 at just $69.95. Focus@Will plays you music scientifically optimised to keep you focused on the task at hand. 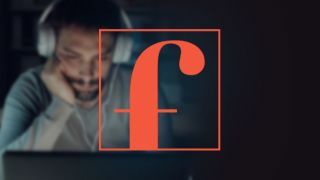 There are over 50 channels to choose from, all packed with curated music that will help your attention span and increase your productivity by 400 per cent — simply from putting on these tunes in the background while you work. Pick from all sorts of genres, from ambient to acoustical to classical piano and many more, so there's options for every type of music lover. Employees at companies like Apple, Microsoft, SpaceX and Amazon have already embraced this handy hack. Follow their lead and take advantage of Focus@Will's channels and timed work sessions to start getting things done more efficiently. Get a lifetime premium subscription to Focus@Will for just $69.95 here.